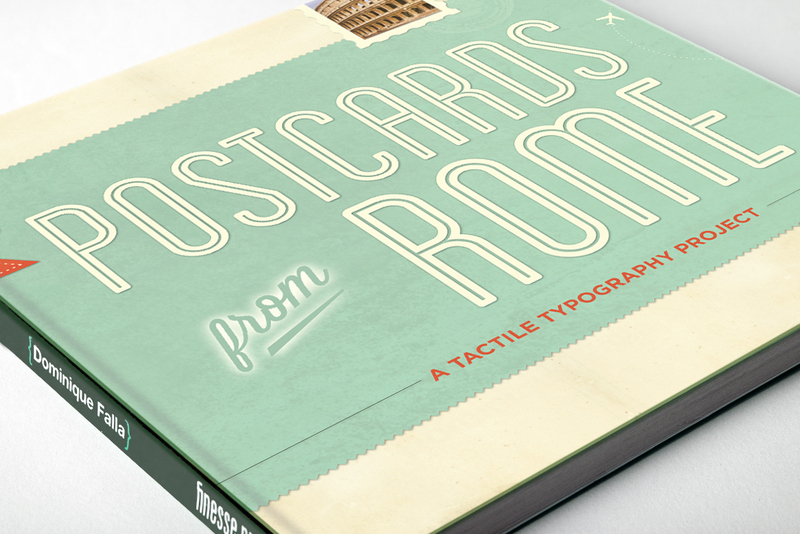 In June this year, I will be visiting Rome for a Masters typography workshop with Louise Fili, Lita Talerico and Stephen Heller (among others), and whilst there, I will make a series of 50 Tactile Typography postcards. These postcards will be inspired by requests for people, places and things from Rome made by people who visit the project website and back the project. The original postcards will be made on Fabriano paper, Italy's finest watercolour paper. I will then produce a book “Postcards from Rome” which will contain photographs of these 50 handmade postcards, the stories behind how they were made and the stories from requesters about why they were chosen. I will also be making sets of printed postcards from these original postcards. If you would like to back the project and request a Postcard from Rome, you have until May 25th, 2012. See below for the funding choices.